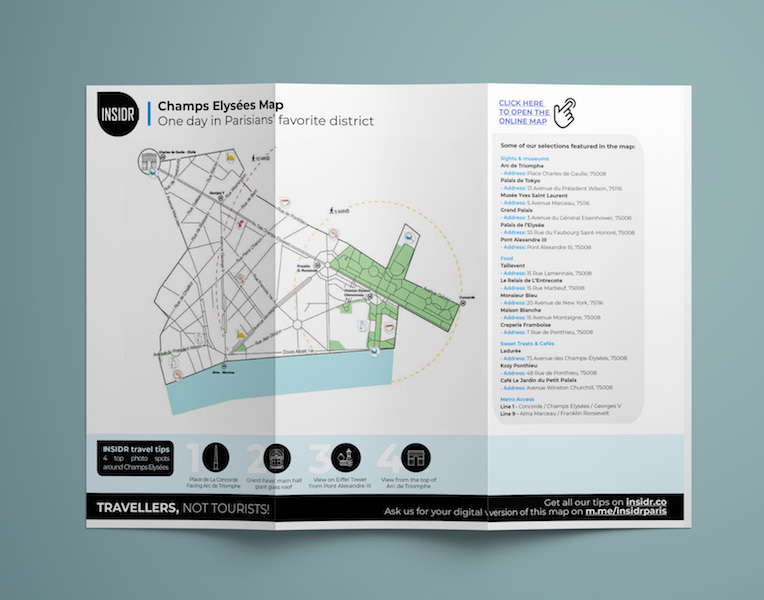 Download our Champs Elysees Map here! 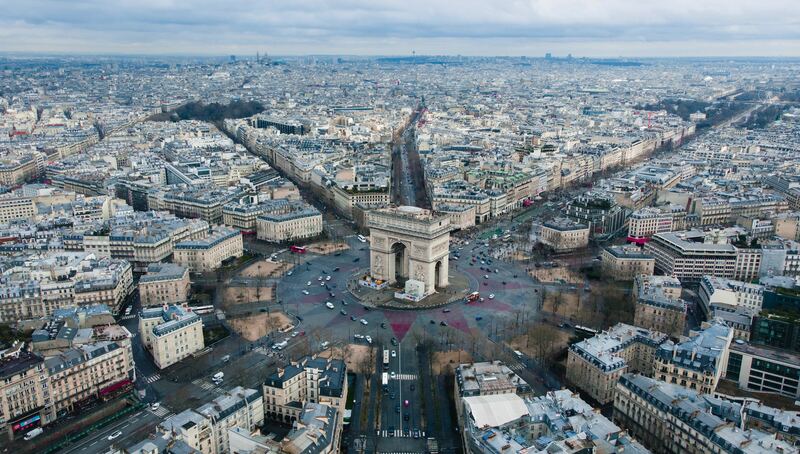 Our Champs Elysees Map will show your around the one of the most iconic places in Paris. To the French, the Champs-Elysées is more than just a street flanked by a number of places for commerce and leisure. It’s where masses of people celebrated and danced when the French team won the Wolrd Cup (twice). It’s where the impressive annual Bastille Day military parade is held. And perhaps more importantly, it’s also a symbol of the French Liberté, where people can freely shout their protests for the different causes they believe in. The Champs-Elysées is so well loved that there’s even a song about it! Among travellers, its claim to fame is a little different. It’s where you’ll conveniently find a string of famous luxury boutiques and chic restaurants. We’ll go beyond showing you all that! Our map will encourage you to explore this area on foot. And we don’t mean just waking down the avenue to see the Arc de Triomphe up close. We’ll guide you to the different interesting attractions and museums there are no more than 10 minutes away. When you’re feeling a little tired from walking, we’ll show you the best restaurants and cafés in the area. What is in your Champs Elysées map? 10+ recommendations of the must-see sights in Champs Elysées area, including Arch de Triomphe, Grand Palais, Pont Alexandre III and the best restaurants around. The Champs-Elysées serves as an anchor for many of the Paris’ best museums and most important government buildings. Being located in the 8th arrondissement, it’s also where some of the richest people in France live. As you walk around, you’ll find countless of nice apartments and even gated homes that you can daydream about! Here’s our list of the top places in the area that you cannot miss. If you’d like to know more about Paris’ best museums, download our Paris Museums Guide 2019! 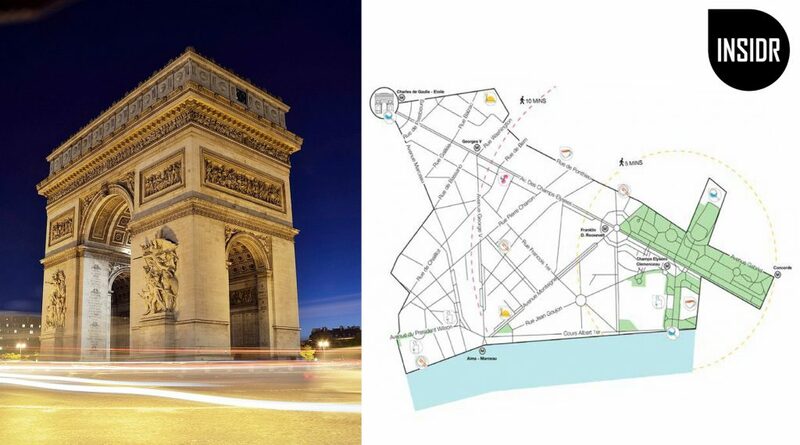 The first thing on our Champs Elysees map is the Arc de Triomphe. Did you know that is is also known as the Triumphal Arch of the Star? It’s named so because if you look at the arch from a bird’s eye view, the ‘star’ is formed by 12 different avenues that converge and you’ll see that the arch is right in the middle of it. The traffic of vehicles around the arch also gets pretty insane and we do NOT recommend carelessly standing in the middle of the road to take selfies. What we do recommend is going up the arch and enjoying the view of Paris from the top! Palais de Tokyo is a building that houses modern and contemporary art. It is the first place in Paris you should go to for a glimpse of art that is thought-provoking, intriguing, and sometimes even unnerving. When the museum hours are over, you’ll still sometimes see a long line of people outside waiting to gain entrance into YoYo, the nightclub located in the building. Palais de Tokyo also recently opened a new restaurant, Les Grands Verres serving sustainable produce and delicious cocktails! Another museum that made it on our Champs Elysees map is Musee Yves Saint Laurent. 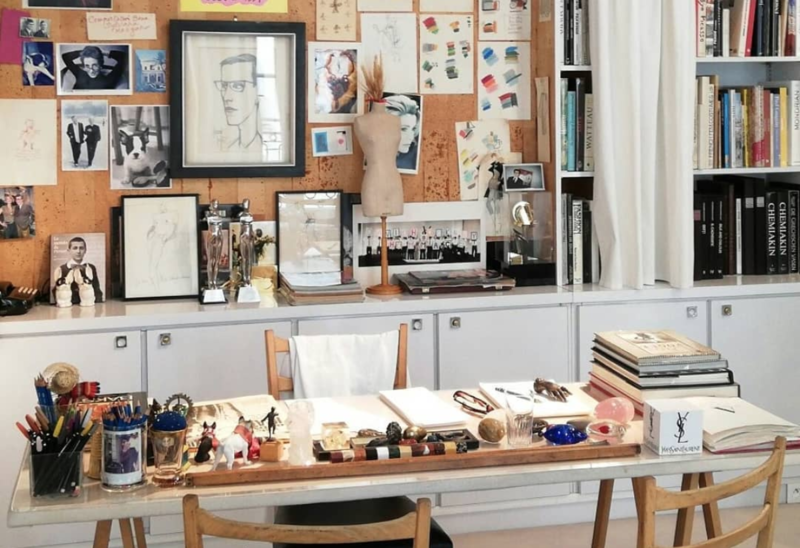 This newly inaugurated museum is dedicated to the life and works of the beloved French designer who sadly passed before his time. Entry into the museum will show you the YSL team’s atelier and over 5,000 prototype dresses. This museum is becoming very popular quickly especially among fashionistas! It is covered by the Paris Museum Pass. 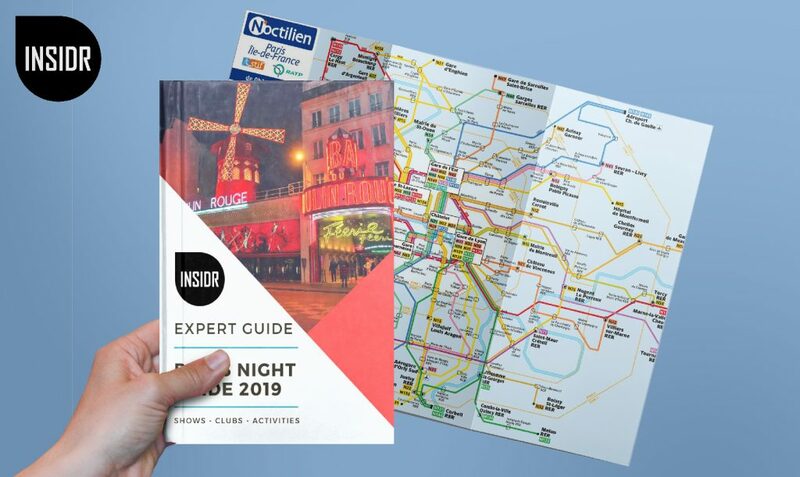 If you’d like to find more of the best museums in Paris that are also covered, download our Paris Museums Guide 2019! Yet another iconic Parisian monument is the Grand Palais. It was originally built for the 1900 Exposition Universelle and now plays hosts to a number of celebrated events like the Chanel couture shows during Paris Fashion Week. It also houses the National Galleries where you’ll find some amazing work from famous artists on display. Our advice: head here soon before it closes in 2020 for some major historic renovations that won’t finish until 2023! 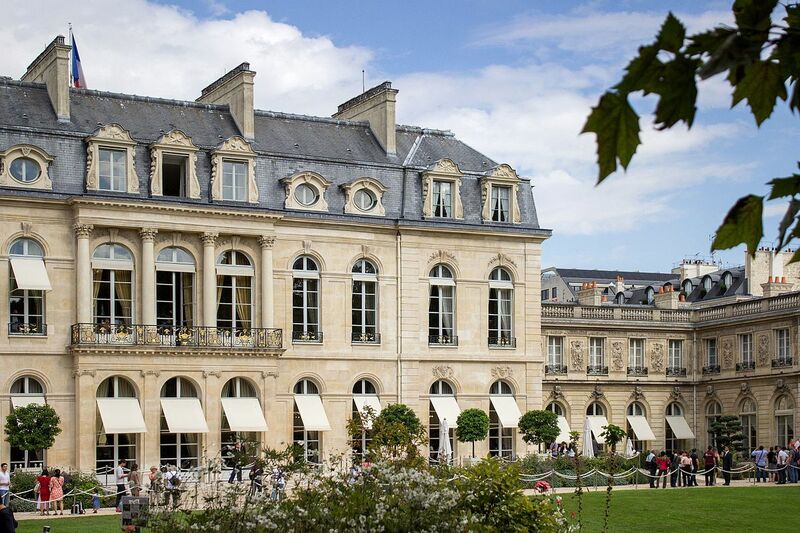 The Élysée Palace is the official residence of the President of the French Republic. Apart from when a new President is sworn in and televised to all of France, there aren’t many other opportunities to see beyond the gates. The only time people can freely enter the palace is during the European Heritage days in September. Despite that, we still recommend walking by as the street also leads to rue Faubourg Saint-Honoré which is smaller version of Champs-Elysées but perhaps with even more luxurious boutiques! The Pont Alexandre III is a deck arch bridge that spans the Seine in Paris. It connects the Champs-Élysées quarter with those of the Invalides and Eiffel Tower. Both locals and travellers will agree that this bridge is one of the most beautiful and ornate in the city. A great place to stand on for a view of the Eiffel Tower! The Champs-Elysées isn’t quite exactly where you’ll find a long list of restaurants for cheap eats. But in our opinion, it’s definitely somewhere you’d like to go to celebrate special moments and to occasionally be treated as if royalty with the 5-star quality of food and impeccable service. Here’s the list of places on our Champs Elysees map that has a great mix of both high and low-budget restaurants that you’re sure to enjoy during a pause between shopping and sightseeing! Read about all our best foodie Paris tips on our visit Paris travel guide. 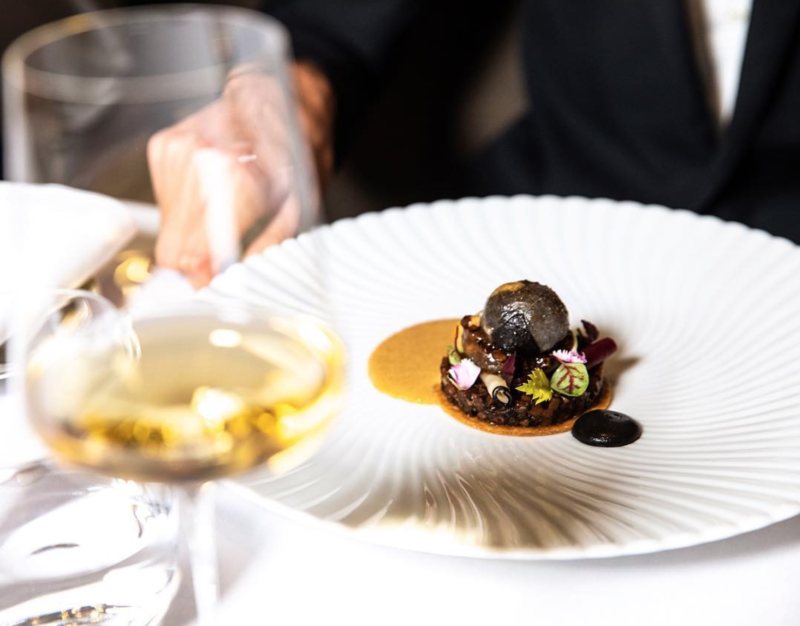 Le Taillevent is a fine dining restaurant that received its first Michelin Star as early as 1946! This place is definitely on the pricey end of the spectrum but you have the more affordable option of coming for a 3-course lunch for €90. For a romantic evening with your loved one, we recommend coming to Monsieur Bleu for dinner. Sure, there are many other restaurants in the area but nothing builds it up better than the view of the Eiffel Tower sparkling at night. The restaurant is located in Palais de Tokyo and could also be a great option for a weekday lunch or a Saturday brunch! Another restaurant that boasts of unobstructed views of the Eiffel Tower is Maison Blanche. The restaurant’s menu is always changing but you can expect to eat delicious seasonal produce each time. Le Relais de L’Entrecôte has been around since 1959 and is dubbed as a classic Parisian institution. 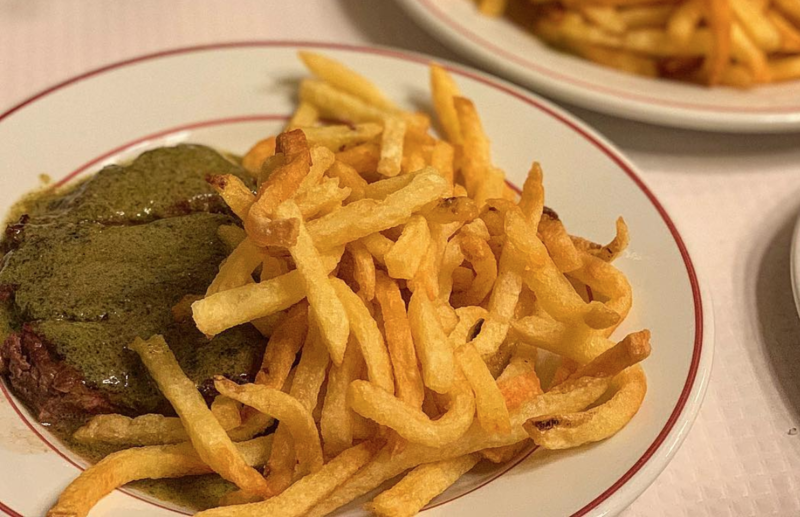 The restaurant is famed for its steak-frites but what gets people to keep coming back is its ‘secret sauce’! Coming here is simple. The servers will only ask you 2 questions: how you want your meat cooked and if you’d like more fries. This place is great if you’re craving for some quality steak that won’t break the bank. The crêperie‘s branch in the 8th arrondissement has made it on our list for its quality and price. Take a break from sightseeing and treat yourself to their lunch menu for €13.90. You’ll get to eat a savoury crêpe, have a cider with it and finish it off with a sweet crêpe for dessert! When in the mood for an afternoon pause or a mid-day sweet treat (we don’t judge), we recommend 3 different cafés that we’re sure you’ll enjoy and truly feel that you’re in Paris. On our Champs Elysees map are Ladurée, Kozy in Ponthieu, and Café Le Jardin du Petit Palais! 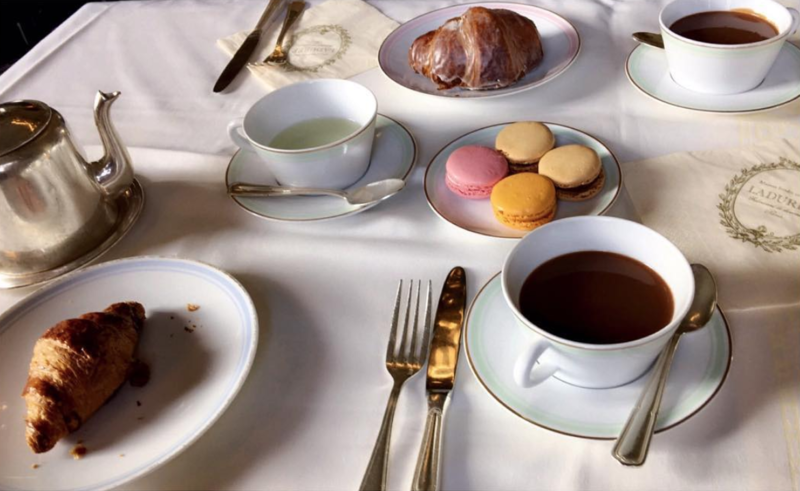 You can pretty much buy Ladurée macarons anywhere but sitting down in their ornate Champs-Elysées café is an experience worth trying! If good coffee is what you’re looking for, Kozy is your answer! If you’d like to sit outdoors and enjoy beautiful architecture while siping on your tea, the cafe at the Petit Palais hits the mark. To get all of the addresses of our recommended museums, restaurants, and cafes, download our Champs Elysees map! You liked our Champs Elysées map? There are more free INSIDR Travel ressources for you!